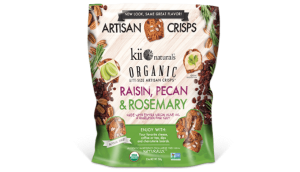 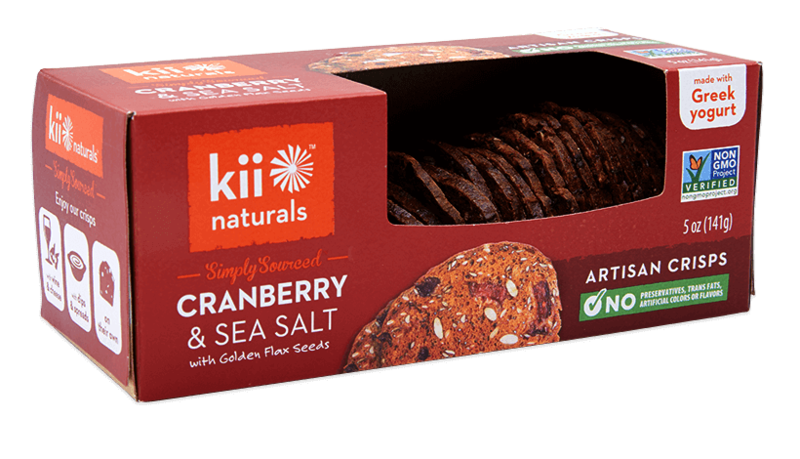 Cranberry & Sea Salt crisps is a great flavour combination of sweet and savoury to enjoy on its own, anytime. 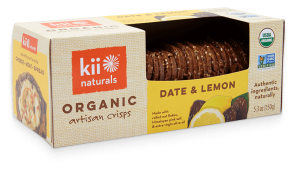 Particularly delicious if topped with a generous slice of Brie or Camembert. 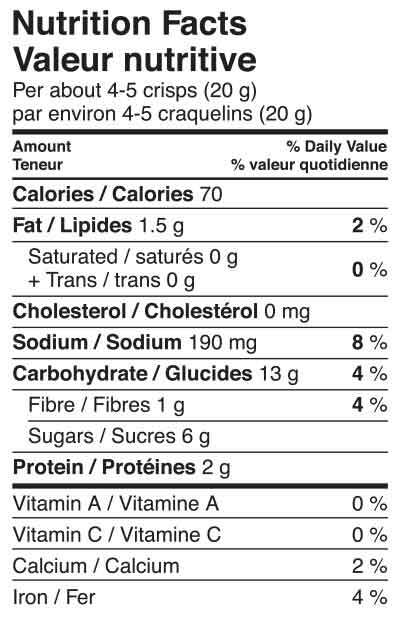 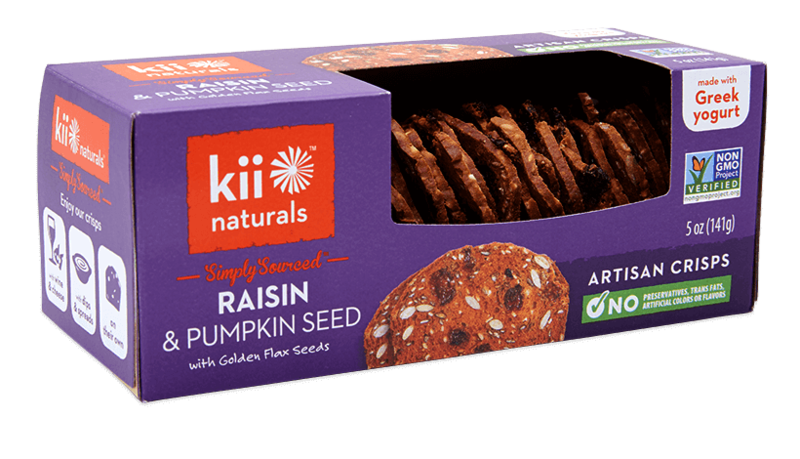 Enriched Flour (Wheat Flour, Niacin, Reduced Iron, Thiamine Mononitrate, Riboflavin, Folic Acid), Cane Sugar, Dried Cranberries (Cranberries, Sugar, Sunflower Oil), Golden Flax Seeds, Black Sesame Seeds, Greek Yogurt (Skim Milk, Bacterial Culture), Pumpkin Seeds, Baking Soda, Sea Salt, Natural Flavor. 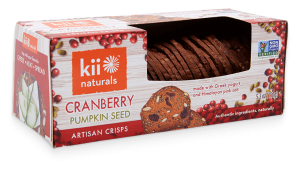 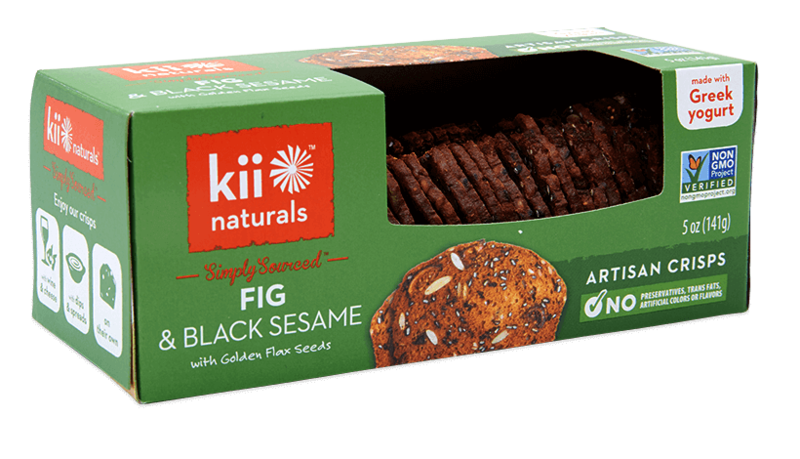 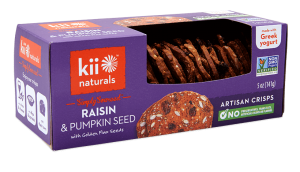 Enriched Wheat Flour, Cane Sugar, Dried Cranberries (Cranberries, Sugar, Sunflower Oil), Golden Flax Seeds, Black Sesame Seeds, Greek Yogurt (Skim Milk, Bacterial Culture), Pumpkin Seeds, Baking Soda, Sea Salt, Natural Flavour.